You can pay for and send them online also. Sid, thanks for answering my questions and keeping positive. It wasnt personal, and if you took it that way.. i apologize.. however your new and have to earn respect. It seemed people were leading trey on, so i stepped up to back him up..
Maingey... consider them yours. Email coming your way shortly! I'm just getting home from another 17 hour day without a break for a meal (my work provided my only meal, which I ate at my desk while I read cases). Unless you have been involved with a three week multimillion dollar jury trial while drafting a Ninth Circuit Court of Appeals brief for a different case and at the same time constantly responding to client's phone calls and emails, please do not lecture me about how easy it is to get a MO. Right now I'm lucky to remember to brush my teeth in the morning, much less remember to stop at a gas station in hopes that they have MO -- which I've never seen advertized by the way. Not to mention, I'd also have to come up with the $350 in cash to get the MO, whereas with Paypal, I'd use CC as I do with all my purchases. Sure I could stop at an ATM, but that would charge me a transaction fee. It's just not worth the trouble or risk. Feel free to sell them to whomever you please. All I'm saying is that once my life calms down, I may reconsider if they are still available. By the way, I've been around the block enough to not trust someone solely on their word and their representation that if they didn't deliver a product they would be subject to mail fraud. While it may be illegal, I'd have to find a prosecutor on the other side of the country to prosecute and if I wanted to recover the money, I'd have to file a lawsuit in a state accross the country (which would be more expensive in itself than the MO was for). It only takes once to be burned. I don't care who vouches for you. If you want stories about **** happening even with the most outwarly trustworthy people, I have plenty to share. Good luck with all that. Tough stuff, but it'll pay off eventually. 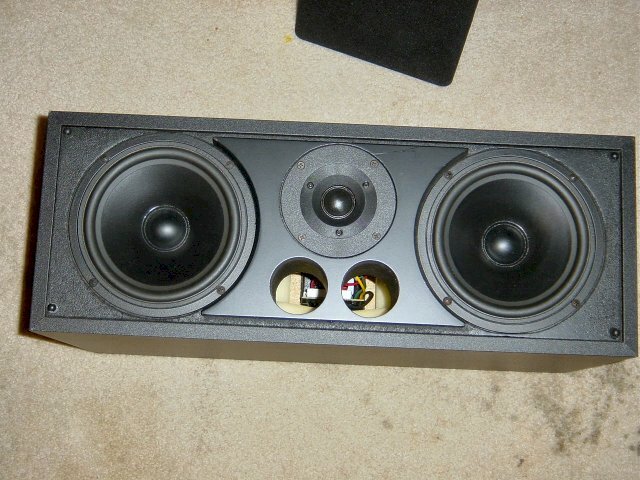 In all my time here I have never seen a post drag on so long for a pair or 300.00 non polk speakers, it could only be Sid with all these rules and regulation and **** to sell some speakers, sheeeez!! The speakers are sold... have been sold for the last page. You folks are the ones dragging it on. No...this thread dosnt have to die? Hows everyones life going? The kiddies? How about the paint drying in the next room? I'm going to drag this out a little longer in order to give advice that might prevent future sales from taking so long. In light of the obvious length it took to sell those speakers for a very good price (reduced $50 for lack of interest), you should recognize that the restrictions were real. You also said no personal checks, which do not present any specail risk to you as long as you wait for the check to clear (a few days maybe) before you ship the merchandise. It's not that it's impossible or even difficult to get a MO, its just a hassle and it presents extra risks. Its much like asking someone to send cash through the mail and telling them that there is no risk in doing so because it would be mail fraud for someone to steal the cash. This is especially true when there is no regulating body overseeing the sale and providing insurance to the buyer in the case that the merchandize is not delivered or is not in the condition it is advertised. Cavet Emptor! I'm not sure what you have against pay pal, but if it is the associated fees, you can do one of two things. First, you can open an account that does not accept credit cards, in which case PP doesn't charge you. Second, you can accept PP with credit card and pass the fees on the buyer. I would have been happy to pay a little extra to avoid the hassles of your restrictions. The fact I posted an entry level tower on the above mentioned products competitors website to sell it dragged it out. Lets face it, not many Polk owners/fans are looking for Def Tech speakers... of any kind. Done this on several ocasions. Thanks Sid, solid packaging, shipping and product... Thanks SId!! Sid, 3 pages of a FS item? that's the first! I am sorry, I have no opinion on the matter. I am sure you do. So, don't mind me, I just want to talk audio and pie. Maingey sent the money fast and is a stand up guy through and through... shouldnt hesitate to do business with him. Glad they arrived in one piece! Thanks again! I recomend you do a search for the older version of the CLR 1000. I asked the guy for a close up of the rear tag... it has no serial number and just says model clr..... is this kosher?